Tim Lata pitched well in this March 1987 game and helped get his Michigan Wolverines the victory, according to The Michigan Daily. Lata struck out eight in five innings with a combination of fastballs, curves and forkballs, The Daily wrote. He gave up no earned runs. "It feels great to get the first win," Lata told The Daily afterward. "All of my pitches were working today. The defense played well and we got some runs." Lata went on from Michigan to turn pro, winning a total of 11 games one year. He played three seasons and made it as high as high-A. 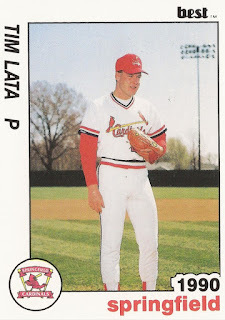 Lata's pro career began in 1989, taken by the Cardinals in the 36th round of the draft out of Michigan. He went to Michigan after graduation from Bishop Foley High School in Madison Heights, Mich.
Lata went 5-1, with a 0.30 ERA as a junior at Bishop Foley. He then again went 5-1, with a 1.11 ERA as a senior, according to The Detroit Free Press. "Tim comes over the top with good velocity," Foley coach Pat Hearns told The Free Press in May 1986. "He also has a curve and he mixes in a split-fingered fastball that just drops off the table. When it's working it's really something. He's a smart pitcher he's very intelligent." Lata then went to Michigan, pitching through 1989. He picked up his fourth win of the 1989 season that April, giving up four hits, The Daily wrote. 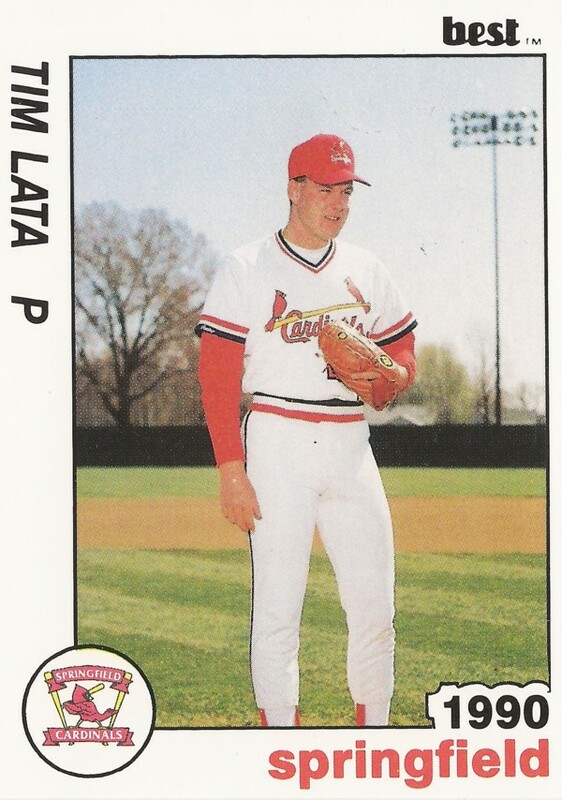 Lata started with the Cardinals at short-season Hamilton. He went 4-5 over 23 outings, nine starts, with a 3.69 ERA. In one 11-appearance stretch, he gave up just two earned runs. He played 1990 entirely as a starter, between single-A Springfield and high-A St. Petersburg. He went 11-10 overall, with a 3.96 ERA. Lata then played between Springfield, St. Petersburg and single-A Savannah in 1991. He got into 16 outings in all, starting six. He went 1-4, with a 6.69 ERA, ending his pro career.